Back in 2014 Grand Designs host Kevin McCloud said that the “shift towards small spaces does not need to mean poky, cramped living”. He added that if you are living in a smaller space, it forces you to think about the size and functionality of your possessions, your furniture and where things will go. Kevin said it also makes realise how important natural light and storage is. The best thing you can do in your narrow lot home is let in as much natural light as possible and bounce it around the room. You can achieve this by placing large mirrors on the walls and by purchasing items with reflective surfaces. Transparent furniture will also trick the eye into thinking the space is larger than it actually is. As a general rule it’s great to have at least three sources of lights in a room. General light such as the overhead light in a room, specific light such as a small lamp and ambient light from sources such as candles. When you are living in a slim home it is best to maximise the space by getting rid of unnecessary and bulky furniture. What you can’t throw out, mount. Getting things off the floor and placing them on shelves or cupboards on the wall will make all the difference in your narrow lot home. You can mount your TV on the wall rather than having it on a TV cabinet and use floating shelves instead of having a big display cabinet in your living room. Fold away chairs, sofa beds, pull out ironing boards and adjustable tables are also a smart investment. Swap intrusive furniture that takes up too much space, with beautiful multi purpose pieces that will keep your belongings safe and tidy. A large wooden chest is a little out of place in a narrow lot home so opt for a comfortable storage ottoman that doubles as a chest and a chair and footrest. The same goes with a huge chest of drawers; replace it with hanging storage or place dividers inside so it at least keeps everything separate and visible. Renowned Homes is a member of the RBWA Family and has been building homes for more than 10 years. 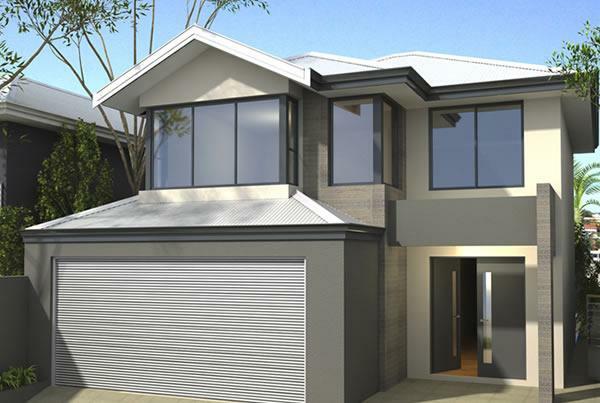 We specialise in narrow two storey homes designed to maximise your living spaces on 10 and 12 metre blocks.